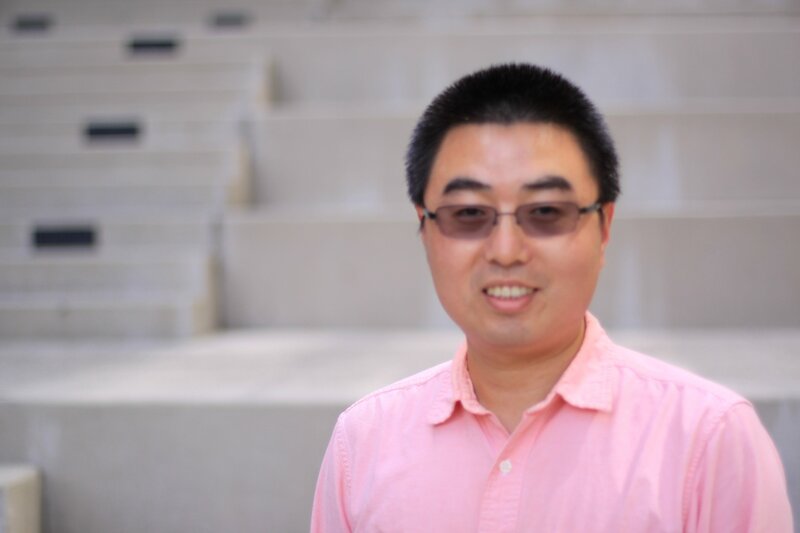 Dr. Jianwu Wang is an Assistant Professor at the Department of Information Systems, University of Maryland, Baltimore County (UMBC). He got his Ph.D. degree in Computer Science from Institute of Computing Technology, Chinese Academy of Sciences in 2007. His research interests include Big Data Analytics, Scientific Workflow, Distributed Computing, Service Oriented Computing. He has published 70+ papers with more than 1000 citations. He is/was associate editor or editorial board member of four international journals, co-chair of four related workshops. He is also program committee member for over 30 conferences/workshops, and reviewer of over 15 journals or books. Since joining UMBC in 2015, he has received multiple grants as PI funded by NSF, NASA, DOE, State of Maryland, and Industry. His current research interests include Big Data Analytics, Distributed Computing and Scientific Workflow. I'm looking for undergraduate, master, Ph.D. students to work on Big Data, workflow and distributed computing related projects through volunteering, independent study, hourly paid position and Research Assistant. I'm also looking for visiting scholars and Ph.D. students. Ph.D. student position info is at at http://userpages.umbc.edu/~jianwu/PhDStudentPositions.html. Please contact me if you are interested. 2001.9 ~ 2007.7 Ph.D. in Computer Software and Theory, Institute of Computing Technology, University of the Chinese Academy of Sciences. Dissertation: "A Domain Oriented and Business User Friendly Service Model". 2015.8 ~ Present Assistant Professor at the Department of Information Systems, University of Maryland, Baltimore County Baltimore, MD, U.S.A.
2015.8 ~ Present Affiliated Faculty at the NSF Center for Multicore Productivity Research (CHMPR), University of Maryland, Baltimore County Baltimore, MD, U.S.A. Efficient and Flexible Aggregation and Distribution of MODIS Atmospheric Products based on Climate Analytics-as-a-Service Framework, NASA, PI. Low-Code Workflow Software for Life Sciences, Maryland Industrial Partnerships (MIPS) Program, PI. CrossTraining of Researchers in Computing, Applied Mathematics and Atmospheric Sciences using Advanced Cyberinfrastructure Resources, NSF, PI. MRI: Acquisition of Cutting-Edge GPU and Phi Nodes for the Interdisciplinary UMBC High Performance Computing Facility, NSF, Co-PI. Large-Scale Climate Analytics based on Satellite Data, Microsoft, PI. Addressing Fundamental Sensing and Data Processing Problems in Sustainable Farms, UMBC, Co-PI. The Smart Manufacturing Leadership Coalition (SMLC), DOE. Scientific Workflow Scheduling on Cloud, Amazon (2010.3-2013.2). Wenbin Zhang, wenbinzhang _at_ umbc.edu, Fall 2016-. Pei Guo, peiguo1 _at_ umbc.edu, Spring 2017-. Arjun Pandya, apandya1 _at_ umbc.edu, Spring 2018-. Redwan Walid, rwalid1 _at_ umbc.edu, Spring 2019-. Rishi Sankineni, M.S. '17, Data Scientist, Kaiser Permanente. Sarthak Bhatt, M.S. '17, Full Stack Developer, Sparksoft Corporation. Guest Editor on Special Issue on Big Data in Ubiquitous Computing at IEEE Transactions on Big Data, IEEE, 2017. Guest Editor on Special Issue on Service and Cloud Based Data Integration at Journal of Grid Computing, Springer Press, Published June 2014. The Second International Workshop on Benchmarking, Performance Tuning and Optimization for Big Data Applications (BPOD 2018) at IEEE Big Data Conference (IEEE BigData 2018) . The First International Workshop on Benchmarking, Performance Tuning and Optimization for Big Data Applications (BPOD 2017) at IEEE Big Data Conference (IEEE BigData 2017) .
. Jianwu Wang, Qiang Duan. Big Data Helps SDN to Manage Traffic. In J. Taheri (eds), Big Data and Software Defined Networks. ISBN: 978-1-78561-304-3, pages 376-388, The Institution of Engineering and Technology, 2018.
. Jianwu Wang, Chen Liu, Meiling Zhu, Pei Guo, Yapeng Hu. Sensor Data based System-level Anomaly Prediction for Smart Manufacturing. Accepted by 2018 IEEE 8th International Congress on Big Data (BigData Congress 2018), 2018.
. Hua Song, Jianwu Wang, Jing Tian, Jingfeng Huang, Zhibo Zhang. Spatio-temporal climate data causality analytics - an analysis of ENSO's global impacts, In Proceedings of the 8th International Workshop on Climate Informatics, 2018.
. Wenbin Zhang, Jianwu Wang, Daeho Jin, Lazaros Oreopoulos, Zhibo Zhang, A Deterministic Self-Organizing Map Approach and its Application on Satellite Data based Cloud Type Classification, In Proceedings of the 2018 IEEE International Conference on Big Data (BigData 2018), 2018.
. Wenbin Zhang, Jianwu Wang. Content-bootstrapped Collaborative Filtering for Medical Article Recommendations. In Proceedings of the 2018 IEEE International Conference on Bioinformatics and Biomedicine (BIBM 2018), 2018.
. Prakashan Korambath, Hari S. Ganesh, Jianwu Wang, Michael Baldea, and Jim Davis. Use of On-Demand Cloud Services to Model the Optimization of an Austenitization Furnace. Smart and Sustainable Manufacturing Systems, Vol. 2, No. 1, pages. 165-179, https://doi.org/10.1520/ SSMS20180024. ISSN 2520-6478, 2018.
. Arjun Pandya, Chaitanya Kulkarni, Kunal Mali, Jianwu Wang. An Open Source Cloud-based NoSQL and NewSQL Database Benchmarking Platform for IoT Data. Accepted by 2018 BenchCouncil International Symposium on Benchmarking, Measuring and Optimizing (Bench 18), 2018.
. Peng Zhang, Yan Li, Hailun Lin, Jianwu Wang, Chuang Zhang, A Periodic Task-Oriented Scheduling Architecture in Cloud Computing, Accepted by the 16th IEEE International Symposium on Parallel and Distributed Processing with Applications (IEEE ISPA 2018), 2018.
. Carlos Barajas, Pei Guo, Lipi Mukherjee, Susan Hoban, Jianwu Wang, Daeho Jin, Aryya Gangopadhyay, Matthias K. Gobbert. Benchmarking Parallel Implementations of K-Means Cloud Type Clustering from Satellite Data. Accepted by 2018 BenchCouncil International Symposium on Benchmarking, Measuring and Optimizing (Bench 18), 2018.
. Pei Guo, Jianwu Wang, Zhiyuan Chen. A Comparison of Big Data Application Programming Approaches: A Travel Companion Case Study, Accepted by the First International Workshop on Benchmarking, Performance Tuning and Optimization for Big Data Applications (BPOD 2017) at IEEE Big Data Conference (IEEE BigData 2017).
. Wanghu Chen, Xintian Li, Jing Li, Jianwu Wang. Enhancing the MapReduce Training of BP Neural Networks Based on Local Weight Matrix Evolution, In Proceedings of the First International Workshop on Benchmarking, Performance Tuning and Optimization for Big Data Applications (BPOD 2017) at IEEE Big Data Conference (IEEE BigData 2017).
. Jianwu Wang, Matthias Gobbert, Zhibo Zhang, Aryya Gangopadhyay and Glenn Page. Multidisciplinary Education on Big Data + HPC + Atmospheric Sciences, In Proceedings of the Workshop on Education for High-Performance Computing (EduHPC-17) at SC'2017.
. Meiling Zhu, Chen Liu, Jianwu Wang, Shen Su, Yanbo Han. An Approach to Modeling and Discovering Event Correlations for Service Collaboration, Accepted by International Conference on Service-Oriented Computing (ICSOC 2017) (Accepatance rate: 18.4%).
. Wenbin Zhang, Jianwu Wang. A Hybrid Learning Framework for Imbalanced Stream Classification, In Proceedings of the 2017 IEEE 6th International Congress on Big Data (BigData Congress 2017), pages 480-487 [Preprint].
. Sai C. Pallaprolu, Rishi Sankineni, Muthukumar Thevar, George Karabatis, Jianwu Wang. Zero-day Attack Identification in Streaming data using Semantics and Spark. In Proceedings of the IEEE 6th International Congress on Big Data (BigData Congress 2017), pages 121-128, [Preprint].
. Lina Zhou, Shimei Pan, Jianwu Wang, Athanasios V. Vasilakos. Machine Learning on Big Data: Opportunities and Challenges, Vol. 237, pages 350-361, Neurocomputing, Elsevier Press, 2017.
. Jianwu Wang, Zhichuan Huang, Wenbin Zhang, Ankita Patil, Ketan Patil, Ting Zhu, Eric J Shiroma, Mitchell A Schepps, and Tamara B Harris. Wearable Sensor based Human Posture Recognition, In Proceedings of the 3rd Annual Workshop on Big Data Analytic Technology for Bioinformatics and Health Informatics (KDDBHI 2016) at 2016 IEEE International Conference on Big Data (IEEE BigData 2016).
. Zhichuan Huang, Tiantian Xie, Ting Zhu, Jianwu Wang, and Qingquan Zhang. Application-Driven Sensing Data Reconstruction and Selection Based on Correlation Mining and Dynamic Feedback, In Proceedings of the 2016 IEEE International Conference on Big Data (IEEE BigData 2016).
. Jianwu Wang, Moustafa AbdelBaky, Javier Diaz-Montes, Shweta Purawat, Manish Parashar, and Ilkay Altintas. Kepler + CometCloud: Dynamic Scientific Workflow Execution on Federated Cloud Resources, In Proceedings of the International Conference on Computational Science 2016 (ICCS 2016), pages 700-711.
. George Karabatis, Jianwu Wang, Ahmed AlEroud. Towards Adaptive Big Data Cyber-attack Detection via Semantic Link Networks. Accepted by the first Workshop of Mission-Critical Big Data Analytics workshop (MCBDA 2016). .Prakashan Korambath, Jianwu Wang, Ankur Kumar, Jim Davis, Robert Graybill, Brian Schott, and Michael Baldea. A Smart Manufacturing Use Case: Furnace Temperature Balancing in Steam Methane Reforming Process via Kepler Workflows . In Proceedings of International Conference on Computational Science 2016 (ICCS 2016), pages 680-689.
. Meiling Zhu, Chen Liu, Jianwu Wang, Xiongbin Wang, Yanbo Han. A Service-Friendly Approach to Discover Traveling Companions based on ANPR Data Stream, In Proceedings of IEEE the 13th 2016 IEEE International Conference on Services Computing (SCC 2016), pages 171-178. .Zhuofeng Zhao, Weilong Ding, Jianwu Wang, Yanbo Han. A Hybrid Processing System for Large-Scale Traffic Sensor Data, in IEEE Access, Vol. 3, pages 2341-2351, 2015.
. Meiling Zhu, Chen Liu, Jianwu Wang, Xiongbin Wang, Yanbo Han. Instant Discovery of Moment Companion Vehicles from Big Streaming Traffic Data, In Proceedings of the 2015 International Conference on Cloud Computing and Big Data (CCBD 2015), pages 73-80, 2015.
. Yu Qian, Hyunsoo Kim, Shweta Purawat, Jianwu Wang, Rick Stanton, Weijia Xu, Ilkay Altintas, Robert Sinkovits, Alexandra Lee, Richard H. Scheuermann. FlowGate: Towards Extensible and Scalable Web-Based Flow Cytometry Data Analysis. In Proceedings of the 2015 XSEDE Conference: Scientific Advancements Enabled by Enhanced Cyberinfrastructure (XSEDE 2015), ACM, New York, NY, USA, Article No. 5.
. Wanghu Chen, Ilkay Altintas, Jianwu Wang and Jing Li. Enhancing Smart Re-run of Kepler Scientific Workflows based on Near Optimum Provenance Caching in Cloud, In Proceedings of IEEE 2014 Eighth International Symposium on Scientific Workflows and Big Data Science (SWF 2014) , at the 2014 Congress on Services (SERVICES 2014) , pages 2295-2305.
. Zhuofeng Zhao, Jun Fang, Weilong Ding, Jianwu Wang. An Integrated Processing Platform for Traffic Sensor Data and Its Applications in Intelligent Transportation Systems, In Proceedings of IEEE 2014 Second International Workshop on Service and Cloud Based Data Integration (SCDI 2014), at the 2014 Congress on Services (SERVICES 2014).